It’s a fashion fiesta at Jabong with a total of 35 brand launches in March alone! New Delhi, March 21 2017 India’s leading online fashion portal Jabong has announced the addition of American fashionwear brand Forever 21 to its product portfolio. The brand, which is the 5th largest specialty retailer in the United States, will be available on Jabong in variants across the apparel, accessories and footwear categories such as play-in tops, dresses, t-shirts, cosmetics, intimates and shoes with prices ranging from Rs.499 to Rs.2400. “We are thrilled to launch on Jabong, which has carved a unique niche among the upmarket fashionistas of India who swear by the hottest international designs. The combined strengths of Jabong and Myntra help us cover a major share of the online fashion retail market and uniquely curate our products to cater to the shopper preferences on each platform. This complements our aggressive offline strategy and we are excited to herald a long association with Jabong,” said Abhinav Zutshi, India Business Head, Forever 21. 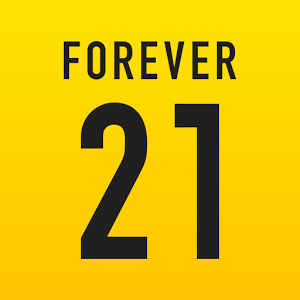 Since 1984, Forever 21 has redefined fashion for the youngsters and has expanded its footprint in more than 47 countries worldwide. Jabong is known to have introduced a multitude of fashion brands in India in the past such as TOPSHOP, TOPMAN, Dorothy Perkins, Missguided, Next to name a few. Forever 21 has seen some remarkable accomplishments over the past 30 years. With a goal to become an $8 billion company by 2017 and open 600 stores in the next three years, it’ll be exciting to see the company achieve in three years what it initially took 30 years to do. Forever 21 is the 5th largest specialty retailer in the United States. A customer from Toronto named her daughter Tiev Forever Golding because she almost had her baby in a Forever 21 store. Once the child’s passport expires, they plan to legally change her first name to “Forever”. The average Forever 21 store is 38,000 square feet, the largest is approximately 162,000 square feet and the original Fashion 21 store is only 900 square feet. Forever 21 rung up $700,000 in sales in its first year. The prior three businesses that occupied that building failed within the first year. Even with the company’s tremendous growth, it still remains a family owned business.